BANGKOK, THAILAND – 29 March 2013: A team of ICEM researchers today released the results from a study on climate change in the Lower Mekong Basin. A major finding in the study forecasts changes in temperature and rainfall altering the suitability for some important industrial and food crops in Cambodia, Lao PDR, Thailand, and Vietnam. Dr. Jeremy Carew-Reid, Director, ICEM - Lead Author of the study Climate Change Adaptation and Impact for the Lower Mekong sponsored by the U.S. Agency for International Development (USAID). ICEM was contracted by The Mekong Adaptation and Resilience to Climate Change Project (Mekong ARCC) – to conduct the study, the first of its kind in the Mekong region, for USAID’s Regional Development Mission for Asia (RDMA). The scientific team from ICEM looked at how changes in temperature and precipitation will affect growing conditions and yields for major crops like rice, maize, rubber, cassava, soya and coffee, as well as fisheries and livestock productivity. The study points to a number of “hotspots” around the region where climate change may have the strongest impact. The region is highly dependent upon natural resources, with 70 percent of the basin’s 60 million people living as farmers and fishers, and highly vulnerable to changes in the climate and its impact on their livelihoods. 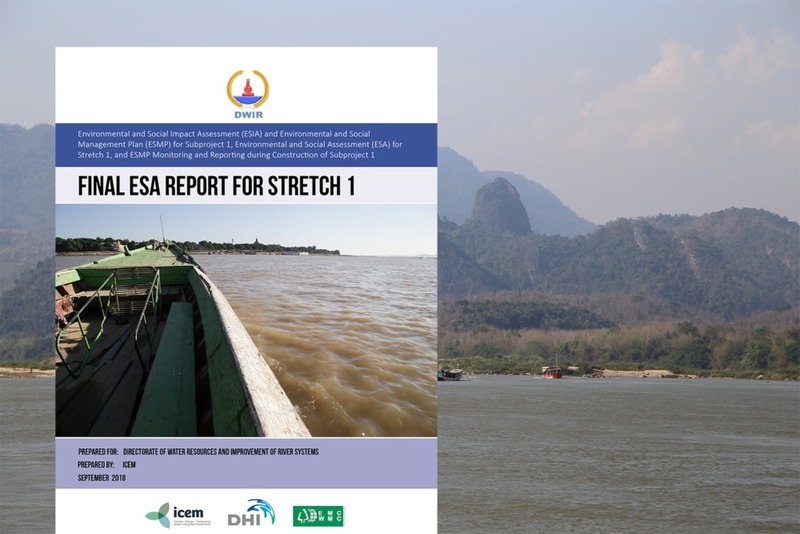 The study represents the first step in the Mekong ARCC project’s effort to integrate science with local knowledge and help communities in the four countries prepare detailed local climate change adaptation assessments and plans for action. The study results will assist decision making and planning by government and business leaders in the four countries of the Lower Mekong Basin, which are exporters of crops like rubber, cassava and coffee. Climate scientists generally agree that an average annual temperature increase of 2 degrees Celsius is a critical threshold—beyond this, climate change will severely disrupt natural systems and people’s lives. But according to the study, some areas in the basin could see increases in temperatures that are double that by the year 2050. While impacts will not be the same everywhere in the basin, all of the Lower Mekong countries will likely see dramatic changes—some positive and some negative—in land suitability for some industrial and subsistence crops. An understanding of these will be important to a range of regional actors.